Multiple Sclerosis, also known as MS, is an autoimmune disease which attacks the central nervous system causes your nerves to go haywire. Every case of MS is different as it’s a complex disease, and symptoms can range from loss of vision, pain, numbness, muscle weakness, itching, and more. There is no cure for MS, only treatments to manage the symptoms. MS, or Multiple Sclerosis affects millions of people worldwide, but is rare in South East Asia. It is estimated that only about 1 to 2 people get it for every 100,000 population here in Malaysia . However, it is also one of the most debilitating of diseases, as there’s no known cure and symptoms can vary greatly from person to person. While most of us know nothing much about Multiple Sclerosis, it is a very real disease for its victims, and many of them happen to be very close to home. The best way to help people with MS is to be aware of such an illness, so that we can help those around us get to the right diagnosis, proper treatment, and provide ample support. MS is a chronic autoimmune disease which attacks the central nervous system – the brain, spinal cord, and nerve fibres to the eyes. 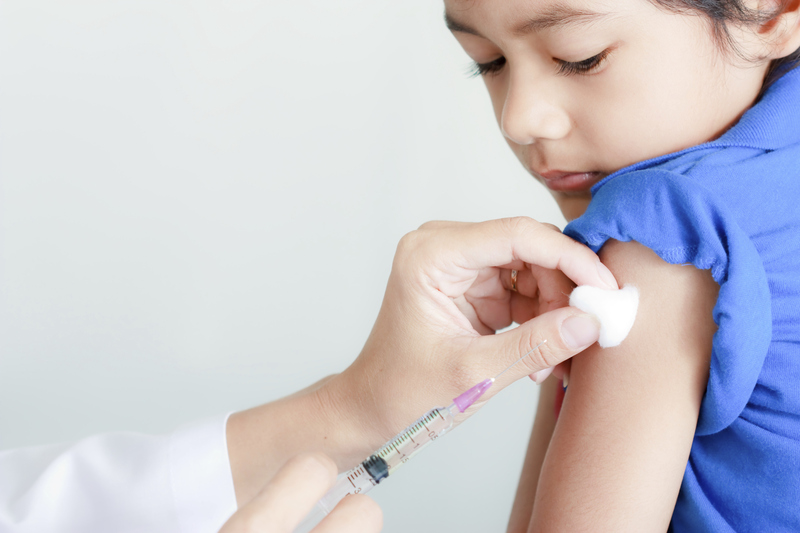 MS happens because your immune system, which is supposed to protect your body, turns around and attack and destroy your body’s healthy tissue. 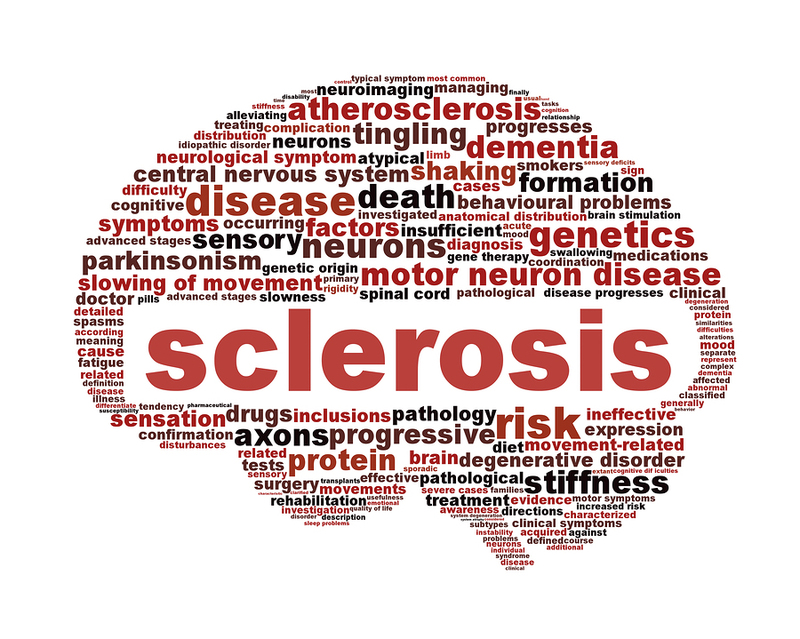 MS attacks the covering that surrounds and protects the body’s nerve fibres. 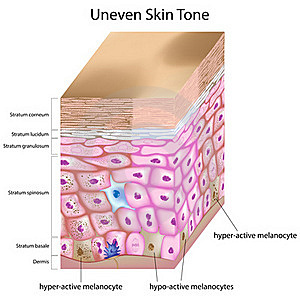 When this covering is damaged or destroyed, nerve impulses are interrupted. The messages your body is sending through its neurons may slow down, get interrupted, or even stop, which creates MS symptoms. For some people, symptoms are mild. For others, they can be more severe. Some people may experience just one symptom, while others may have many symptoms. Sometimes major symptoms will disappear, while other people may have permanent symptoms. A thing to note is that MS is a complex disease, and experiencing these symptoms does not always mean that a person has MS.
First symptoms include include blurred vision, loss of vision in one eye or colour distortion. Another common vision symptom of MS is called optic neuritis, or inflammation of the optic nerve. Common first symptom experienced by those eventually diagnosed with MS. Approximately 50% of people who have MS have experienced pain as a result of inflammation and damage to the covering protecting the nerve fibres. It may also occur from spasticity and changes in joints and muscles. These changes can be a result of weakness, restricted range of motion, or altered walking dynamics. Pain may also result from other illnesses associated with MS. Intention tremor is the most common form, and is most pronounced during physical movement. Uncontrollable shaking can happen when a person tries to grasp or reach for something, or move a foot to a precise spot. 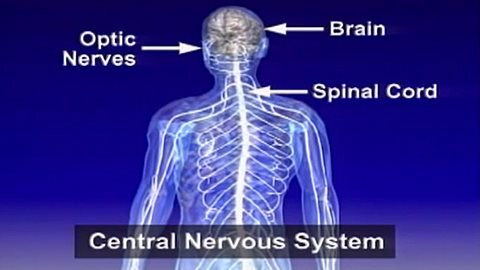 In severe MS, people can develop paralysis affecting the legs, arms, and sometimes face. However, the majority of people with MS do not become severely disabled. Two-thirds of people who have MS remain able to walk, though many will need an aid, such as a cane or crutches, and some will use a scooter or wheelchair. Dizziness can be a common symptom of MS. People with MS may sometimes feel off-balance. The most common symptom. In fact, up to 95% of people with MS may suffer from fatigue. Lesions in the brain can cause changes that can result in speaking difficulty. These include frequent urination, urgency, and loss of bladder control. The most common bowel problem is constipation. People with MS experience depression more often than people who don’t have MS. Sometimes occurs with MS, but is not a common symptom and most episodes of hearing loss related to MS tend to improve. One of many kinds of sensations that may be experienced by people with MS.
Worldwide estimates of the number of people with MS range from 1 to 2.5 million. Women are two to three times more likely to be diagnosed with MS. In Malaysia, the prevalence of MS is two per 100,000 population, of which only 60% are diagnosed and treated. MS is uncommon in children and adolescents, but it is widely recognised as the most common disorder of central nervous system in young adults and usually diagnosed between the ages of 20 and 50. Although MS itself is not fatal, around two-thirds of patients die from secondary complications. As the disability from MS increases, so too does the risk of secondary complications such as pneumonia. 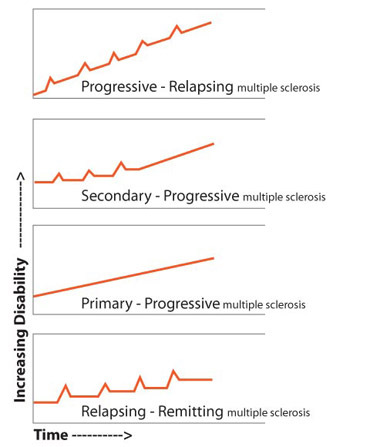 Overall, life expectancy for MS patients is reduced by approximately 10 years. 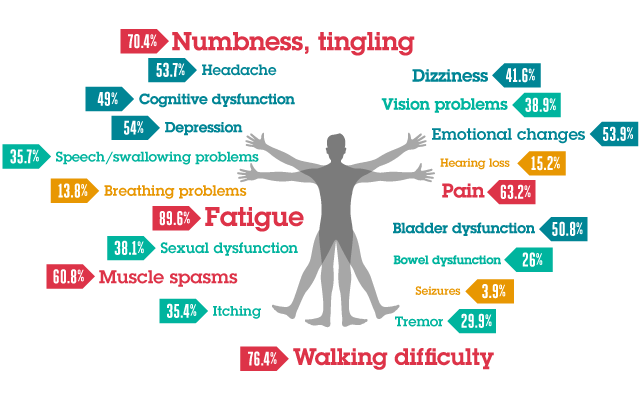 MS is a complex disease, and the cause or causes of MS are unknown. Possible factors relating to MS include gender, genetics, ethnicity, viruses, and environment. Some scientists have speculated that viruses are triggering factors in MS. Gender difference has led to increasing research into the role of hormones in MS.
Genetics may play a role in determining who gets MS. So if you have a family member (a parent, sibling, or child) who has MS, your risk of developing the disease increases. Generally, the risk of developing MS is 1 out of 750. However, if you have a family member with MS, your risk increases to 1 out of 40. The risk may increase more if you have multiple family members with MS or if there are identical twins involved. MS is more common in Caucasians of northern European ancestry (although it can occur in any race or ethnic group), suggesting ethnicity may be one of several contributing factors. MS is less common in areas closer to the equator and because there is more sunlight in these areas – resulting in more exposure to vitamin D – researchers are now investigating the role of vitamin D levels in MS. The doctor asks about symptoms the patient has experienced, including symptoms such as vision changes or sensory changes (like pain). Used to evaluate coordination, balance, and muscle strength, and to test reflexes and vision. 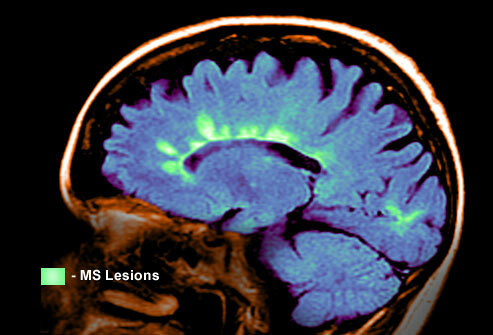 Can detect lesions, also known as plaques or scarring, possibly caused by MS. This test of nerve function is used to assess how long it takes the brain to process signals. In MS patients, spinal fluid is tested for specific immune system proteins and antibodies. These can be signs of an autoimmune disorder, although not necessarily of MS.
To make a conclusive diagnosis of MS, the physician must demonstrate evidence of damage in at least two separate areas of the central nervous system. It must be shown that the damage occurred at different times and the doctor has ruled out other conditions that may have symptoms similar to MS. Patients experience clearly defined relapses followed by periods of remission without disease progression. After a relapsing-remitting course at disease onset, patients experience a progressive deterioration of neurologic function between relapses. Patients experience progressive neurologic dysfunction from onset, with subsequent superimposed distinct acute relapses. Patients experience a nearly continuous worsening of disease that is not alternated with periods of relapse. RRMS is the most common form of the disease at onset (85% of patients), but over time neurological disability accrues and the condition evolves into SPMS, with or without relapses. PPMS is the most serious form of MS and occurs in approximately 15% of cases (it usually begins later in life around the age of 40). PRMS is the least common form. Relieve symptoms – symptomatic treatments. Reduce the severity and shorten the duration of relapses – short-term, high-dose corticosteroid therapy. Slow disease progression – disease modifying therapies. The inadequacies of current therapies result in many MS patients turning to unconventional treatment in an attempt to reduce symptoms. Although significant advances have been made in the treatment of MS in recent years, there is still room for improvement. 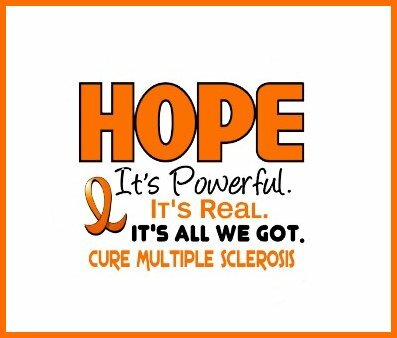 Hope for a Cure for MS? There have been interesting discoveries recently in relation to multiple sclerosis (MS), bringing hope to millions that a cure for this debilitating neurological disease could eventually be found. Two clinical trials are being held in France and California to look into how and why some women with multiple sclerosis report dramatic improvements in their symptoms during pregnancy. Since many of these women go on to say their conditions return, or worsen, after childbirth, researchers want to find out whether increasing levels of progesterone or oestrogen could protect women from relapses after childbirth. Further, a grant by the California Institute for Regenerative Medicine could help neuroimmunologist Thomas Lane explore further his research – which has seen stem-cell treatment allow mice with MS-like disease to regain the use of their limbs. Despite such excitement, researchers warn that any definite treatment still remains many years away as MS is a frustratingly difficult disease to address. For more information on Multiple Sclerosis, call Multiple Sclerosis Society of Malaysia at 03-7874 6601. Do you have multiple sclerosis or know anybody who does? Please send your inspiring stories to hello@healthworks.my to help spread awareness about MS!